Washington, D.C., scored the highest out of the 19 U.S. locations under consideration for online retailer Amazon's second headquarters, or HQ2, in an independent analysis from Hamilton Place Strategies. The public affairs consulting firm evaluated the cities based on four categories that Amazon deemed vital for their business: transportation; education; connectivity and business; lifestyle and culture. The analysis broke down those four categories into 11 more specific subcategories. D.C. was scored above average in most of the subcategories. The city was only below average in one subcategory — business and career rankings. D.C. boasts multiple international airports and easy access to international destinations, alongside high livability, diversity and connectivity scores, the report says. The District falls behind New York and Chicago in mass transit and has fewer top 50 universities than Philadelphia, Boston and Los Angeles. The District also has the highest-educated population, tying with nearby Montgomery County and Northern Virginia. 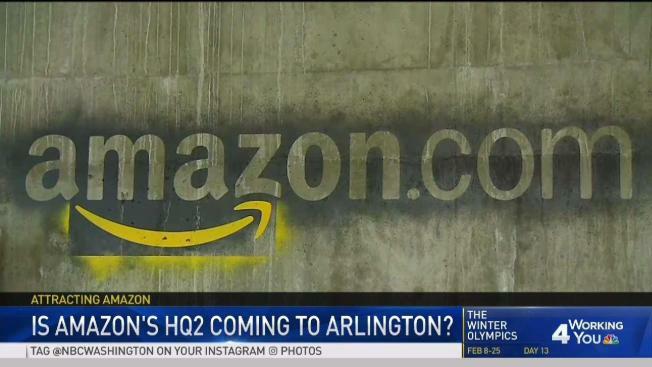 The study was released as an Arlington news website, ARL Now, noticed a huge spike in visits to their website that appeared to be from Amazon employees. The study ranked Boston and Northern Virginia as the second and third place cities respectively with a note that Boston’s access to more top universities may ultimately give it an edge over D.C.
Montgomery County scored half a point lower than Northern Virginia.